Prime Minister Narendra Modi addressed students across the nation from Vigyan Bhawan on Monday to mark Swami Vivekananda’s 125th anniversary of his Chicago address and BJP ideologue Deendayal Upadhyaya’s centenary celebrations. The event was organized by the Deendayal Research Institute (DRI) and backed by the Culture Ministry. The theme of the convention was ‘Young India, New India.’ Speaking at the event, Modi stressed on his Swachh Bharat Abhiyaan. Addressing the event, Prime Minister asked whether Indians today have the right to chant Vande Mataram if they go on to spit pan and throw garbage on roads. He further added that those who clean the streets and surroundings have the first right in the country. Speaking about Swami Vivekananda’s address in at Parliament on Religion in Chicago on 11 September 1983, Modi said people today people remember 9/11 with the terror attacks of 2001 in NY, the “9/11 of 1893 was about a message of love and brotherhood” which continues to reverberate & inspire the generation. PM Modi said Vivekananda gave a new identity to India, when he went abroad, he showcased the character of India. But when he addressed in India, he highlighted our problems. Swami Vivekananda raised his voice against the social sins that has invaded our society. PM Modi further added that he said only rituals would not connect a person to holiness. He also said ‘Jan Seva is Prabhu Seva’ Modi added. Prime Minister urged students should pitch in to take the ‘Clean India Initiative’ forward. 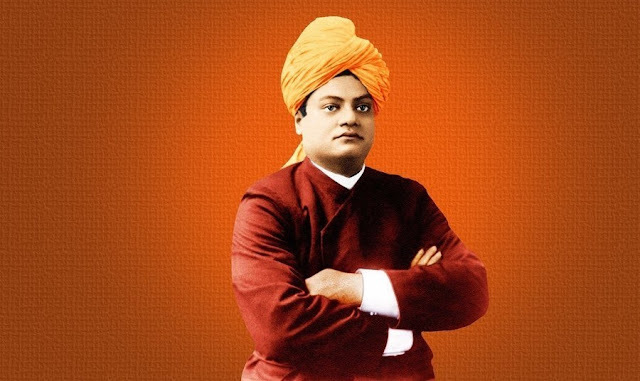 Vivekananda’s ideals can be an example for all, especially the young, even in today’s day and age.